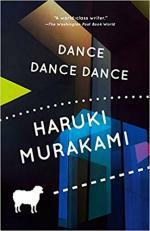 Haruki Murakami is probably the most famous Japanese writer in the world. 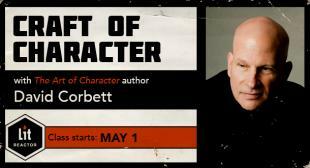 His books have been translated into fifty languages and sold millions of copies globally. He’s picked up various prizes over the years, from the Gunzo Award for Hear the Wind Sing, his debut novel, to the World Fantasy Award for Kafka on the Shore, and most recently he was nominated for the New Academy Prize in Literature, though he requested his nomination be withdrawn so he could concentrate on writing and not media attention. Murakami has a distinct style and if you’ve read several of his books you’ve probably noticed some commonalities: western music—particularly jazz, rock, and The Beatles—first-person narrators—often nameless and isolated—cats, sheep costumes, mysterious women, strange phone calls, and parallel universes to name a few. But with so many books to choose from—where on earth should you start? And for those who have already dipped their toes into the wonderful surrealist world of Murakami, what should you read next? Winner of the Yomiuri Literary Award, The Wind-Up Bird Chronicle was originally published as three books in Japanese, ‘Book of the Thieving Magpie’, ‘Book of the Prophesying Bird’, and ‘Book of the Bird-Catcher Man’. In typical Murakami fashion the story kicks off with the protagonist, Toru Okada, searching for his wife’s missing cat and bumping into an eccentric teenaged girl, May Kasahara. To add to the fun, Toru is soon receiving sexually-charged phone calls from a woman who swears she knows him. Throw into the mix a World War II veteran, a deep well, a psychic prostitute, a politician with a dark past, and you get some sense as to what The Wind-Up Bird Chronicle is about … except not really, because it cannot easily be summed up, only experienced. The Wind-Up Bird Chronicle is more than the sum of its parts. It will challenge you, raise philosophical and existential questions, it will move you, and it may well lead to you asking why anyone else bothers to write when Murakami can capture things so succinctly, artistically, and accurately. 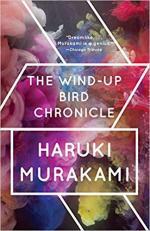 If you read one Murakami book, it has to be The Wind-Up Bird Chronicle. I’ll see you down the well. 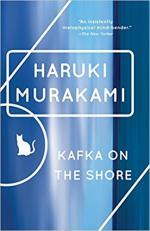 Kafka on the Shore follows two main characters, fifteen-year-old Kafka Tamura, who’s run away from his father’s home in search of his mother, and Nakata, an outcast and man of simple tastes who often speaks about himself in the third-person and has the ability to speak with and understand cats. While Kafka spends a large amount of time in a private library, gradually drawn more and more to the distant proprietor, Miss Saeki, and Nakata is mostly searching for a lost cat, the two are connected and as the story progresses—via unaged soldiers in the forest and fish falling from the sky—the mystery as to how unravels. Murakami’s fifth novel, Norwegian Wood, marked a departure from the surreal fiction he’d written previously and would become famous for. Murakami said he made up his mind to write a “hundred percent realistic novel … to break into the mainstream.” And it was a decision that would pay off massively, launching him into literary mega-stardom and selling over 2 million copies. Set in the 60s, Norwegian Wood concerns Toru Watanabe as he looks back on his college years and romantic relationship with Naoko. But hanging over them both is the suicide of Toru’s best friend and Naoko’s first boyfriend, Kizuki. Part coming-of-age, part romance, part tragedy, and as addictive and wonderfully written as you’d expect from Haruki Murakami. 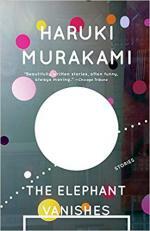 Murakami’s first collection, The Elephant Vanishes, contains seventeen short stories written between 1980 and 1991. This mixture of surrealism and normality captures well the different modes in which Murakami writes. The collection kicks off with ‘The Wind-up Bird and Tuesday’s Women’, an early version of Chapter One of The Wind-Up Bird Chronicle, originally published in The New Yorker. Next up is ‘The Second Bakery Attack’, in which a hungry couple sits in bed recalling the time a bakery was robbed ten years ago. After eating all the food in the fridge (just cookies and beer) they decide to rob a bakery. Unfortunately, they can’t find one that’s open, so compromise on robbing a McDonald’s. The Elephant Vanishes is both haunting and laugh-out-loud hilarious, tapping into many of our universal worries and concerns: loss, loneliness, destruction, and self-destruction. The titular story and the newspaper headline ‘ELEPHANT MISSING IN TOKYO SUBURBS’ gives you all you need to know going into that tale. Other highlights include the little green monster who proposes to a woman whose house he’s broken into and the lederhosen purchase that leads to divorce. But of all the tales, it’s ‘On Seeing the 100% Perfect Girl One Beautiful April Morning’ that has most impacted me. So minimalist and simply told, it is perhaps the saddest love story—I challenge you to read it and avoid looking like you have sand in your eyes. Dance Dance Dance immediately followed Norwegian Wood. It’s the fourth in the ‘Rat’ series and follows an unnamed protagonist, a commercial writer, as he’s forced to return to the Dolphin Hotel—a place that will be familiar to those who’ve read A Wild Sheep Chase. 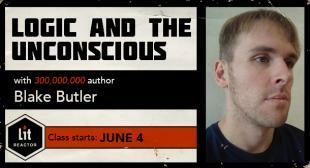 He finds himself experiencing strange dreams in which the Sheep Man (also in A Wild Sheep Chase) appears to him and he’s soon investigating the murder of a prostitute, via a thirteen-year-old psychic and a one-armed poet. The thing that has stuck with me most is not the storyline, characters, or even the writing, but rather a passage that speaks about monotonous jobs and likens them to shovelling snow. I know of others who have been similarly affected and have even quit their jobs to move onto better, more fulfilling careers. How about you, are you living your life’s purpose or simply shovelling snow? 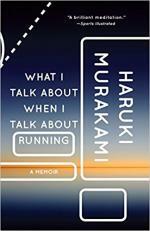 Murakami’s nonfiction book, What I Talk About When I Talk About Running, is part memoir, part how-to guide. The book that riffs off Carver’s famous What We Talk About When We Talk About Love ties running, creativity, and writing together. 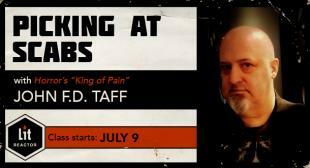 In a way, WITAWITAR has a number of things in common with King’s On Writing. You will be able to glean practical nuggets and wisdom on creativity, particularly on how and why to knuckle down and get the work done—but more than that it’s a personal account of Murakami’s running and writing journey. The two are inexplicably linked. In 1982 when Murakami sold his jazz bar and devoted himself to writing he also took up running as a way to get fit. One year later he competed in the Athens marathon—and he really does capture the sun, sweat, and gruel of that task. When I first read WITAWITAR it was the height of Summer and I was living in Lisbon which only enhanced my reading experience. Running and exercise can help provide a mental reset, and this may just be the book you really need but never knew you did to help you level-up your writing game. 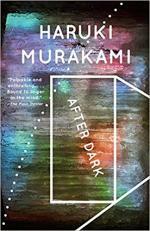 Set in Tokyo, between midnight and dawn, the quote above wonderfully captures the atmosphere of After Dark. This may well be Murakami’s darkest in tone and most minimal stylistically. It’s a tale of two sisters, Mari—a student, who’s first seen in Denny’s reading a book and smoking a cigarette—and Eri—a fashion model, who’s been asleep in her bedroom for the last two months. Keep an eye on that television set in Mari’s room, it might be switched off at the mains, but this is a Murakami story after all—you never know what could happen. As you’d expect, there are a number of narrative threads interconnected and weaved together, the darkest of which revolves around a Chinese prostitute who’s been beaten up by an office worker, and the manager of the love hotel in which the incident occurred. After Dark has a very David Lynch vibe, especially Blue Velvet. 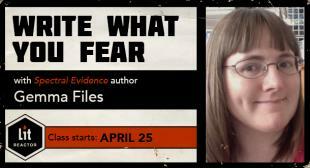 A film adaptation would be a thing of dreams, or should that be nightmares? This is by no means an exhaustive list. To the contrary, I think every single Murakami book is worth your time. 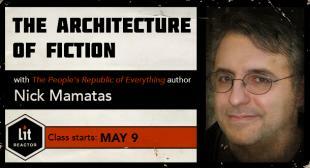 He’s a writer so good that I’m simultaneously in awe, incredibly jealous, and enchanted by each of his stories. Other books you should absolutely check out include A Wild Sheep Chase, IQ84, Killing Commendatore, Men Without Women, and Hard-Boiled Wonderland and the End of the World. 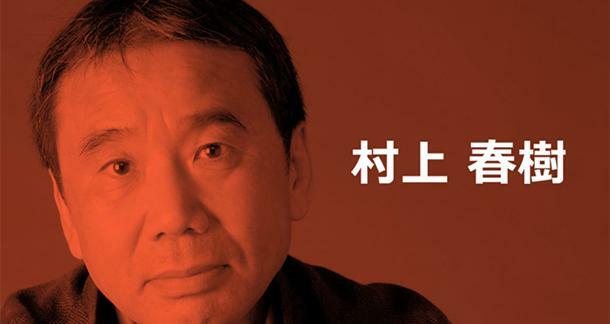 Over to you, what are your favourite Haruki Murakami stories and why? 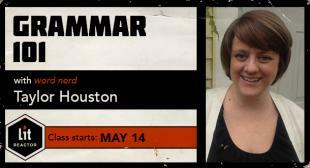 Wind-Up Bird is my favorite, really changed the way I look at writing fiction. 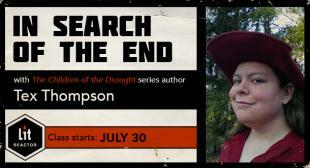 The blend of the mundane, the supernatural, and the reporting/non-fiction historical aspects were amazing. 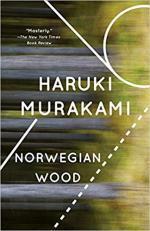 For readers who want to dip their toe in the HM world, I always suggest Norwegian Wood. It seems to me his most accessible work. For those ready to jump into his surreal work full-on, go for Wind-up Bird Chronicles. 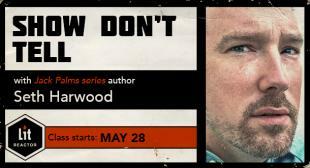 It’s my favorite novel of his or anyone else. It’s so cross-genre that it really defies categorization. Anything by this author is worth while and some of it borders on life changing. Really! It’s that good!